Oh boy, do I have memories of sloppy joes as a child. Note that I did not say “fond” memories. Just memories. Vague, soupy, tasteless, sugary-sweet memories. The sloppy joes of my youth tended to be either from a can or from a cafeteria, and neither were particularly special. The good news is that we can easily improve on them. The even better news is that kids still love sloppy joes! For this version, I use ground turkey—a riff on classic sloppy joes made with beef. I like turkey because it’s lean, and it also lets the other ingredients (like all those delicious veggies) shine. There’s this weird dynamic in kid-food land. Sometimes kids want super-clean separated foods. Peas can’t touch chicken! Chicken can’t touch rice! You know that game. But if you embrace the mess, kids will generally also like that! If you are making sloppy joes, I recommend embracing the slop and showing them that messy food can be fun and delicious. Challenge them to take big bites or make sloppy joe sauce mustaches. Try to keep the food on the darn plates but if you have fun with this messy meal, they will, too! I have a theory: Introducing kids to fun and messy meals like this one will eventually erode that child annoyance of wanting everything perfectly separated. This recipe is generally easy and straightforward to make. You put the stuff in a big pot, simmer it together until the sauce is thick and the turkey is cooked, and then slather it on buns. Done. The one thing that I highly recommend taking the time to do is to mince your vegetables very finely, or use a food processor to pulse them. Cooking the minced veggies in oil, i.e. making a sofrito, makes for a delicious base for recipes like this. The fine mince is important so the vegetables melt into the sloppy joe mix and you don’t end up with any huge bites of vegetables. It’s an annoying step, but one that’s worth the work! Leftover sloppy joe mix reheats well in the microwave. Reheat it in 30 second bursts on high and stir in between bursts until mixture is hot. If you want to freeze this recipe, let it cool completely and then store it in an airtight, freezer-safe container for 2 months. It will also keep in the fridge for 4-5 days. The Dad add for me on these sloppy joes is all about the toppings. I like to add some crunch and some heat to my sandwich so I top it with really good kettle potato chips and pickled jalapeños. It makes you almost need a fork and knife to eat the sandwich, but SO good. I have a few tricks up my sleeve to get my kids to eat. You can’t use the tricks every night, but I pull the following one out occasionally: Challenge them to see who can take a bigger bite, Dad or Kid. I captured this photo as my older kid took SO big of a bite that I immediately was concerned about choking, as parents often do. Once he tried it though, it was smooth sailing because a) these are good and he liked them, and b) his sister became intrigued because he was so into it and also tried it. Normally, she would just eat the pickle and then yell at me to color with her while I tried to eat so even eating a few bites was a win for me! So, all in all, I call this one a win! 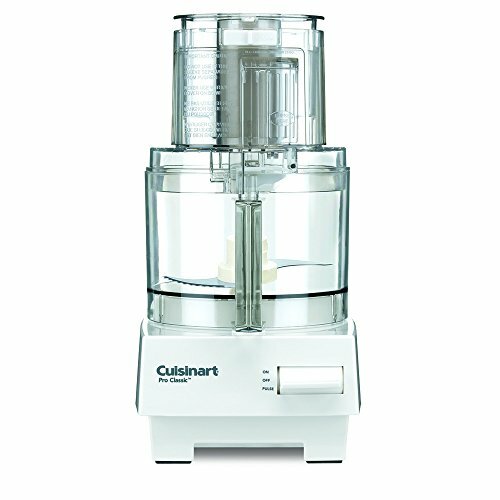 1 Prepare the vegetable mix: Pulse the ingredients in a food processor until they are minced. Alternatively, very finely mince the onion, carrot, green pepper, celery, and garlic with a chef's knife. It’s very important that there are no huge chunks in the final sloppy joe mix, so if you don’t have a food processor, take your time while chopping them—do it in advance if you want. Just store the chopped veggies together in a covered container in the fridge. 2 Begin cooking the vegetables: In a medium to large saucepan over medium heat, add olive oil along with the minced veggies. Cook for 4 to 5 minutes until veggies soften but don’t brown. Season the veggies with salt and pepper. 3 Add the turkey and cook: Add the ground turkey to the pot. Stir it constantly to break up the turkey. Cook for 5 to 6 minutes until turkey is cooked through. 4 Add the sauce: Add the ketchup, tomato sauce, Worcestershire sauce, vinegar, and brown sugar to the pot and bring to a simmer. 5 Serve! Serve sloppy joes piled high on soft hamburger buns served with coleslaw. Add kettle potato chips and pickled jalapeños, if desired. Hello! All photos and content are copyright protected. Please do not use our photos without prior written permission. If you wish to republish this recipe, please rewrite the recipe in your own unique words and link back to Turkey Sloppy Joes on Simply Recipes. Thank you! These sound great! Do you think they’d work in a crockpot if I just threw everything in and left it all day? Absolutely delicious! The family was fighting over who would get the last of it in the pot. These are good! I don’t have young kids, but my husband and adult sons love sloppy joes. I wasn’t sure they’d be pleased about the turkey, but these are great! I added some red pepper to zip them up a bit, and we had them on homemade bread. These were just delicious! I cooked them low and slow to be sure the veggies melted into the meat and they did. They needed a little water while cooking and a cover helped keep them moist. A keeper, for sure! I’d never use turkey! Otherwise I make them this way with ground beef. Love them with the veggies. A Vegetarian version would be useful. Just use vegetarian/vegan mince & brown it first, that’s what I do with most recipes that call for meat, otherwise the recipes the same. I substitute vegan milk/cheese sometimes.